Globe Wealth A guide to money management: Who should handle your nest egg? Here are some of Anne-Marie’s choices. The wealthy come to Krista Kerr when change is afoot. They may be thinking of selling their business and wondering about the tax implications, or setting up trusts for their grandchildren, or looking for suggestions about how they might give back to their community. Krista Kerr is president of Kerr Financial Group, a fee-only financial planning firm. Ms. Kerr is president of Kerr Financial Group of Montreal, a fee-only financial planning firm founded by her father, Robert Kerr, nearly 40 year ago. Ms. Kerr manages the firm’s “family office” – or ultra-high-net-worth – clients out of Kerr Financial’s Toronto branch. Kerr Financial offers financial planning, tax expertise and investment management. Both father and daughter are chartered accountants and Ms. Kerr also holds the esteemed chartered financial analyst (CFA) designation. Kerr Financial clients have at least $2-million or more. Ms. Kerr’s clients usually start with a comprehensive plan, which can cost anywhere from $6,000 for a working couple to $25,000 for a business owner. “It depends on the complexity,” Robert Kerr said. With their plan in hand, clients can either take it to their own investment firm or use Kerr’s wealth-management service, Ms. Kerr says. “If you decide you want us to manage your investments, we will rebate part of the financial planning fee,” she adds. The firm selects and manages a handful of approved investment subadvisors who direct security selection for the same total fee that clients would pay if they were able to invest with them directly: 1.25 per cent a year, or $25,000, for the first $2-million, dropping to 0.85 per cent above $2-million. Clients who want continuing integrated service, including financial planning, tax return preparation and accounting, can choose to pay a slightly higher, all-inclusive portfolio management fee. Alternatively, they can pay an hourly rate or an annual retainer for their non-investment services, Ms. Kerr says. Anne-Marie wouldn’t be in the family-office league, but knowing how a firm like Kerr Financial works is important because it will help her to understand that valuable advice – the kind wealthy people seek – is worth paying for. Most fee-only financial planning firms would be delighted to have her as a client. These are the people – chartered financial analysts – who do the actual buying and selling of stocks and bonds. People seek out portfolio managers for investment returns that beat the markets over the long term without too much risk. Traditionally, that was enough. But with intensifying competition for well-heeled clients, some portfolio managers are offering high-end financial planning as well. The service is included in the annual fee. At the boutique portfolio manager Avenue Investment Management in Toronto, “planning is part of the overall package,” says Paul Gardner, partner and portfolio manager. Clients sit down with a planner/portfolio manager to discuss what types of investments might be suitable and what rate of return is needed. 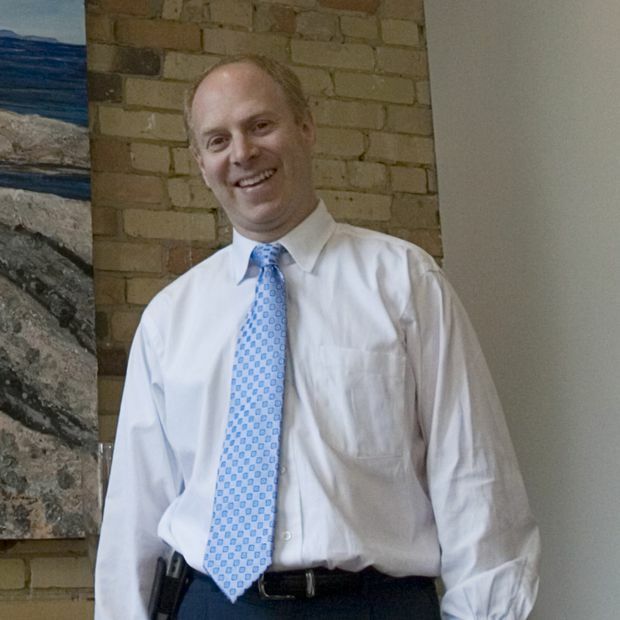 Paul Gardner is a partner and portfolio manager at Avenue Investment Management in Toronto. Avenue Investment Management has two portfolios, a stock and a bond. The fee for clients with $1-million or more is 1.5 per cent of assets for the stock fund and 0.80 per cent (80 basis points) for the bond fund. So a client with 60 per cent stocks and 40 per cent bonds would pay 1.2 per cent a year, or $12,000. The firm charges a performance bonus if the stock portfolio is up more than 10 per cent in any given year. If it loses money, the fee is cut in half the following year. For clients with $3-million or more, the fee falls to 1 per cent for the stock fund and 0.50 per cent (50 basis points) for the bond fund. Fees are tax-deductible for non-registered accounts, Mr. Gardner says. Avenue Investment’s returns have been impressive. As of Aug. 31, the stock fund has averaged 7.5 per cent a year over 10 years, handily beating the benchmark’s 4.7 per cent. The results are before subtracting the management fee. The bond fund has also beat the benchmark. Investment dealers are by far the largest money managers in Canada, but they can be complex to navigate and intimidating to novice investors like Anne-Marie. The sales people – known as investment advisers – are under extreme pressure to sell to generate fees for the firm. These advisers can potentially find themselves in a conflict of interest if they push their employer’s products over competing ones. With more than $1-million, Anne-Marie can get an investment adviser who is also a licensed portfolio manager. Portfolio managers at investment dealers usually hold the chartered investment manager, or CIM, designation. At Manulife Securities Inc. in Toronto, for example, Anne-Marie could expect to pay about $2,000 for a retirement cash-flow forecast to age 100 that is presented over two meetings, says Kurt Rosentreter, an investment adviser, tax specialist and portfolio manager. Mr. Rosentreter is also a chartered accountant. This is based on an hourly rate of $200. The retirement plan integrates tax planning, pensions, government benefits, cash flow needs, investment strategy, real estate and estate planning, Mr. Rosentreter says. If she opts for portfolio management as well, the fee for clients with $1-million in savings ranges from 0.50 per cent to 1.50 per cent a year, depending on asset mix, what financial planning services are provided and communication preferences – for example, how often the client wants to meet with the adviser, he adds. Alternatively, clients can choose to pay “a la carte” for the services they want. The array of investment options at the big investment dealers is impressive. For example, Mr. Rosentreter’s clients who want portfolio management can choose to have their money managed in-house or with an outside portfolio manager – again, for the same fee they would pay if they went to the outside portfolio manager themselves. Now, back to Anne-Marie, who might well be perplexed at the prospect of paying $12,000 a year or more for financial advice. She is leaning toward her brother-in-law, who sells mutual funds and says he will prepare a free financial plan for her if she buys funds from him. She doesn’t realize these particular funds have high management expense ratios (MERs). Let’s suppose she buys them. The average MER on the portfolio of funds her brother-in-law is recommending is 2.2 per cent, or a full $22,000 a year on her $1-million investment. While her brother-in-law may be a terrific financial planner, odds are his focus is on sales, so she could end up with a cookie-cutter financial plan based on a simple software program. As well, the big fees will eat into her investment returns, so she could end up with investments that may well lag the markets rather than beat them. Her brother-in-law is pleased because he stands to earn a 1-per-cent trailer fee for continued advice, or roughly $10,000 a year for as long as Anne-Marie holds the funds. For more information about portfolio managers, a list of them in your province and the minimum investment they require, go to the website of the Portfolio Management Association of Canada, www.portfoliomanagement.org.